I decided to not run the GUCR this year, I didn't think I could give it as much as I should and pulled out so that someone else could have a go at the UK's best race. I have since signed up to the UTSW 100 miler which is in only two weeks now. Anyhoo, another reason I pulled out of the GUCR was to attend a friends wedding in Newcastle in Northern Ireland. I am at that age where my friends are selfishly pairing off meaning that I am often asked to attend an engagement part, a stag do then a wedding, all putting a huge strain on my ability to go running every weekend. I'm only joking of course and the wedding was fantastic and it was great to see two friends getting hitched. There was a huge amount of cheese to eat instead of a cake and eating cheese and drinking through the night certainly caused some interesting nightmares. I still don't think I've mentioned to James Edgar what we were doing in a boat on some really icy water that night. I'm glad that none of it actually happened. But it would be rude to go to wedding and not check out the local talent right? And so a few weeks before the big day I had a look on the interweb and found a marathon just 30 miles away. 26.2 through a nice city on a road, two days after the wedding. Perfect for burning off some of the excesses. I was gluttonous this weekend and went into this marathon near my "LA weight". However I didn't have 3200 miles or diarrheoa to help me drop the pounds. The weather was perfect, drizzle and cool, like NI should be. We climbed the biggest mountain the day before, the mighty 800m tall Slieve Donnard before having a curry. I was taking Ben through my usual pre-race routine. Amy managed to forget her Garmin which didn't panic her as much as I thought it might. 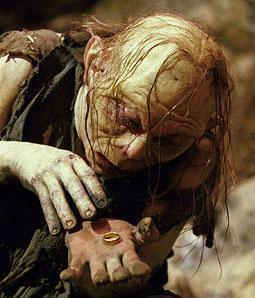 I watched the end of Lord of the Rings the previous night and thought that Garmins are are bit like precious. At first they are a shiny new novelty, oh look you can go invisible. The you start to crave it all the time, need it with you constantly when you run and then the day comes when you are without it and you turn into a slimy, flemmy, balding, twisted blathering mentalist who will bite you to get the thing back. Not that Amy was like that at all but I imagine some are. Tolkien was way ahead of his time. So Ben and I set out on the Marathon and Amy and Gemma were doing the half and starting 30 minutes later. We set out from the town with about 200 others out onto a river towpath then onto some very quiet and undulating roads. I kept Ben in sight for about 5 miles but it was clear that he was going for sub 3 and it was clear that I was not going to do that, I was determined to run it quite fast though so was keeping up a good pace. Early on I was passed by Graham who I have not seen for a couple of years and it was great to chat to him for a bit. The first half was nicely up and down. Nothing hurt too much from the previous day of walking though the groin tightened again and the achilles hurt. I have not been sticking myself too much. It was not long before I was alone, not many in sight. I got passed a few times around the half way mark and tried to stick with a group who were going a bit faster that I wanted to but I tried to keep up anyway. Then that made me need a poo so I had to stop and do what the Pope does in the woods. It was onyl with two miles to go that I asked one of the guys with a silly watch what the time was and he said just coming up to three hours. Awesome, I was on for 3.15, at LA weight. Not bad. I finished in 3.13.56, Ben had done sub three, both of us had done our third fastest marathons ever and it was my fastest for 4 years. My last PB was after climbing three mountains the day before. Clearly my mistake this time was only climbing one. Really nice race if you happen to be in Northern Ireland, not quite a PB course with the hills early on but they are great for stopping you running like an idiot in the first half. There is still possibly some speed in the fat dog yet. And that capped off an awesome weekend. Oh and I got engaged. Now Gemma strokes this ring like precious, I have not seen her wear a Garmin since. So that will mean an engagement party, a stag do and a wedding, ruining a lot of peoples running schedule. Sorry about that.